Herlings and Prado Build in Points Gaps in Bulgaria. 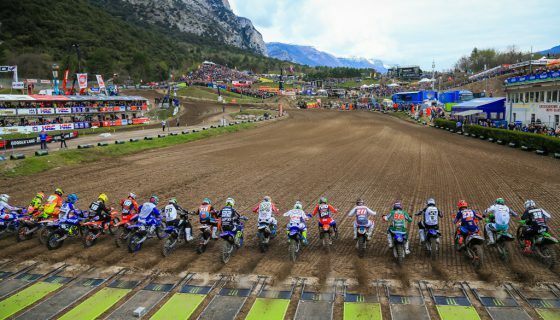 The FIM Motocross World Championship’s 17th round took place today on the hillsides of Sevlievo for the 2018 MXGP of Bulgaria. With 3 rounds remaining in the championship Red Bull KTM Factory Racing’s Jeffrey Herlings and Jorge Prado extended their current points lead with Overall wins in MXGP and MX2 respectively. 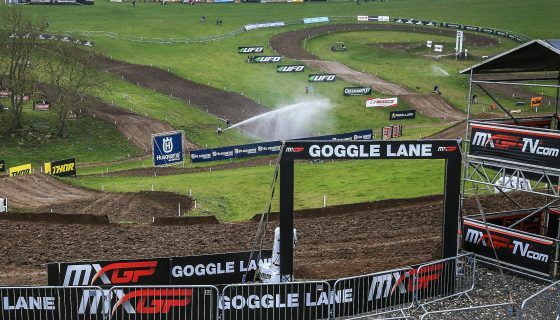 The natural terrain and old school style of motocross track was an instant favorite among many riders and lead to great racing throughout the weekend. Prior to today’s first World Championship race an opening ceremony was held with the officials which made the events return to Bulgaria possible. On stage to open the event were Mr. David Luongo, Vice President of Youthstream, Dr. Wolfgang SRB FIM Europe President, Mr. Rumen Petkov, Chairman of the Organizing Committee for the Grand Prix of Bulgaria, Associate Professor Stoyan Andonov, Deputy Minister of Youth and Sports, Dr. Ivan Ivanov, Mayor of the municipality of Sevlievo, Ms. Iglika Sabeva, Member of Parliament, Ms. Nevena Petkovam, District Governor, Eng. Rosen Tsvetkov, Vice Regional Governor, and Mr. Dimitar Rangelov, the Vice President of the BFM. Several speeches followed the introduction before the national anthem was played and the event was officially opened by Mr. Petkov, then the Bulgarian motocross fans created a unique atmosphere as they watched the racing with intensity. MXGP’s Race 1 started with a season first Fox Holeshot from Team HRC’s Tim Gajser but the Slovenian quickly lost the lead to Red Bull KTM Factory Racing’s Jeffrey Herlings. Third off the start and not far off the top 2 riders’ pace was Monster Energy Kawasaki Racing Team’s Clement Desalle. 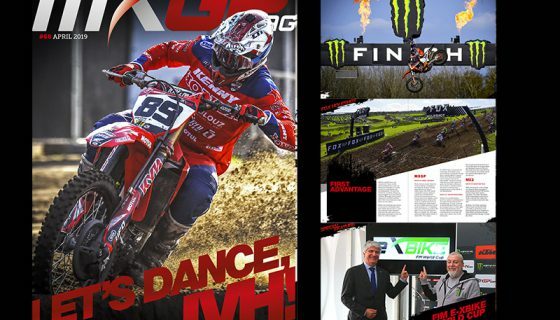 Following Desalle was the 2 French riders, Monster Energy Yamaha Factory MXGP’s Romain Febvre and Rockstar Energy Husqvarna Factory Racing’s Gautier Paulin. Paulin’s teammate Max Anstie lost control on the opening lap and collided with Febvre’s Monster Energy Yamaha teammate Jeremy Van Horebeek. Van Horebeek stayed up but Anstie went down just in front of Red Bull KTM Factory Racing’s Antonio Cairoli causing the Italian to lose positions. Cairoli was 10th across the line during the first official lap and put a charge on but only reached 8th after passing his Red Bull KTM teammate Glenn Coldenhoff. After Cairoli’s pass for 8th on lap 4 the top 9 remained the same for the entirety of the race. Anstie pulled off the track to regroup for Race 2 while Herlings took a 15.9 second win over Gajser, Desalle, Febvre, and Paulin. Race 2 saw a renewed Cairoli take the Fox Holeshot but similar to Gajser in race one the lead was shot away quickly at the hands of the “Bullet” Jeffrey Herlings. Gajser backed up his strong ride from the first race running 3rd ahead of Desalle. Van Horebeek fell on the start along with Wilvo Yamaha Official MXGP’s Shaun Simpson and Marchetti Racing Team KTM’s Jose Butron. Van Horebeek’s teammate Febvre was in 5th for the first lap and a half before crashing and dropping back to 8th. Coldenhoff took over 5th once Febvre fell but had Anstie apply pressure from 6th. Anstie’s teammate, Paulin, only kept Febvre at bay for a single lap before he lost 7th. Febvre continued on to pass both Anstie and Coldenhoff which threw off the Dutch rider enough for Anstie to also move past a lap later. At the finish Herlings topped Cairoli by just over 14 seconds with Gajser 3rd, Desalle 4th, and Febvre 5th. 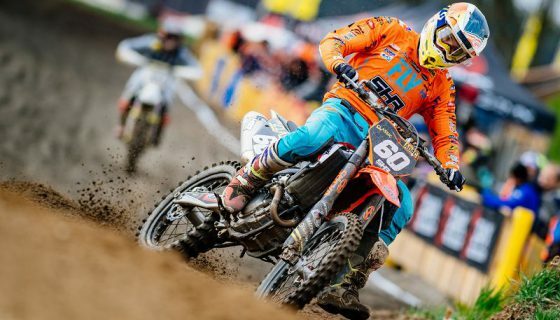 The overall win went to Herlings along with the full 50 points up for grabs. Gajser took 2nd and Desalle rounded out the podium while Cairoli just missed the box in 4th but more importantly lost 16 championship points to Herlings. The series now heads to Turkey next weekend for the first time since 2009. Herlings’ championship lead is now 73 points with three rounds to go. MXGP Race 1 Top Ten: 1. Jeffrey Herlings (NED, KTM), 35:25.270; 2. Tim Gajser (SLO, Honda), +0:15.942; 3. Clement Desalle (BEL, Kawasaki), +0:21.352; 4. Romain Febvre (FRA, Yamaha), +0:32.744; 5. Gautier Paulin (FRA, Husqvarna), +0:34.895; 6. Jeremy Van Horebeek (BEL, Yamaha), +0:36.747; 7. Julien Lieber (BEL, Kawasaki), +0:41.023; 8. Antonio Cairoli (ITA, KTM), +0:57.391; 9. Glenn Coldenhoff (NED, KTM), +1:06.591; 10. Jeremy Seewer (SUI, Yamaha), +1:13.023. MXGP Race 2 Top Ten: 1. Jeffrey Herlings (NED, KTM), 35:21.881; 2. Antonio Cairoli (ITA, KTM), +0:14.366; 3. Tim Gajser (SLO, Honda), +0:25.658; 4. Clement Desalle (BEL, Kawasaki), +0:34.633; 5. Romain Febvre (FRA, Yamaha), +0:44.829; 6. Max Anstie (GBR, Husqvarna), +0:47.752; 7. Glenn Coldenhoff (NED, KTM), +0:50.922; 8. Tommy Searle (GBR, Kawasaki), +0:54.196; 9. Gautier Paulin (FRA, Husqvarna), +0:54.943; 10. Jeremy Seewer (SUI, Yamaha), +0:57.488. MXGP Overall Top Ten: 1. Jeffrey Herlings (NED, KTM), 50 points; 2. Tim Gajser (SLO, HON), 42 p.; 3. Clement Desalle (BEL, KAW), 38 p.; 4. Antonio Cairoli (ITA, KTM), 35 p.; 5. Romain Febvre (FRA, YAM), 34 p.; 6. Gautier Paulin (FRA, HUS), 28 p.; 7. Glenn Coldenhoff (NED, KTM), 26 p.; 8. Jeremy Van Horebeek (BEL, YAM), 23 p.; 9. Jeremy Seewer (SUI, YAM), 22 p.; 10. Tommy Searle (GBR, KAW), 21 p.
MXGP Championship Top Ten: 1. Jeffrey Herlings (NED, KTM), 783 points; 2. Antonio Cairoli (ITA, KTM), 710 p.; 3. Clement Desalle (BEL, KAW), 581 p.; 4. Tim Gajser (SLO, HON), 549 p.; 5. Romain Febvre (FRA, YAM), 544 p.; 6. Gautier Paulin (FRA, HUS), 483 p.; 7. Glenn Coldenhoff (NED, KTM), 446 p.; 8. Jeremy Seewer (SUI, YAM), 393 p.; 9. Jeremy Van Horebeek (BEL, YAM), 373 p.; 10. Max Anstie (GBR, HUS), 313 p.
MXGP Manufacturers: 1. KTM, 847 points; 2. Kawasaki, 600 p.; 3. Yamaha, 592 p.; 4. Honda, 564 p.; 5. Husqvarna, 541 p.; 6. Suzuki, 261 p.; 7. TM, 227 p.
MX2 racing was full of action especially in race one where Red Bull KTM Factory Racing’s Jorge Prado took the Fox Holeshot but had fellow Red Bull KTM rider and championship competitor Pauls Jonass just behind. Rockstar Energy Husqvarna Factory Racing Team’s Thomas Covington and Thomas Kjer Olsen were in 3rd and 4th with American Marshal Weltin on his new F&H Racing Team Kawasaki 5th. Honda 114 Motorsports Hunter Lawrence was 6th but took 5th from Weltin on lap 2 only to gift it back the next lap when he fell and remounted in 7th behind Team DIGA-Procross’ Brent Van doninck. It only took Lawrence a lap to get back into his starting position of 7th. Lap 3 would be the end of the Bulgarian campaign for Team HRC’s Calvin Vlaanderen when he fell in an attempt to avoid the downed Ben Watson and his Kemea Yamaha Official MX2 Team YZ250F. Vlaanderen then had KTM Silver Action’s Stephen Rubini collide with his bike and him. Though the South African got up under his own power he rode straight back to the Team HRC truck. While many eyes were on Vlaanderen it was Jonass making moves as he took the lead from Prado during lap 4. Prado was unable to respond and quickly lost time to Jonass. The other teammates that were running 3rd and 4th also swapped positions when Olsen took third from Covington. At the halfway point Lawrence passed Weltin to take 5th for the second time while Watson moved the American back another spot to seventh. At the finish it was win for Jonass over Prado and Olsen. Race 2 was started with Prado’s 10th Fox Holeshot in a row with Jonass breathing down the #61’s neck. Olsen and Covington had a massive change of fortune when both went down in the first turn. Jonass was in a perfect position to score his first double race win since the MXGP of Great Britain but instead lost the front end on the opening lap. Though Jonass only lost two spots to Lawrence and Watson he and his bike suffered damage. Olsen was perhaps the most impressive in the opening laps coming from essentially last, after the first turn fall, to 5th by lap 3! Olsen’s progress was halted there however as Jonass was sure to give up no further championship points. At the front Lawrence steadily closed on Prado who backed off the pace early but the Spaniard eventually dug deep to hold off the Australian. Prado took the race win along with the overall while Jonass made a late pass on Watson taking 4th in the race and 2nd overall. The final spot on the podium went to Lawrence with his 5-2 score, slightly improved from his 5-3 podium earning result last week in Switzerland. Prado now leads the points by 30 after gaining 2 on Jonass this weekend. MX2 Race 1 Top Ten: 1. Pauls Jonass (LAT, KTM), 34:34.818; 2. Jorge Prado (ESP, KTM), +0:05.471; 3. Thomas Kjer Olsen (DEN, Husqvarna), +0:11.590; 4. Thomas Covington (USA, Husqvarna), +0:19.707; 5. Hunter Lawrence (AUS, Honda), +0:23.308; 6. Ben Watson (GBR, Yamaha), +0:27.786; 7. Marshal Weltin (USA, Kawasaki), +0:57.001; 8. Brent Van doninck (BEL, Husqvarna), +1:03.808; 9. Bas Vaessen (NED, Honda), +1:12.535; 10. Samuele Bernardini (ITA, Yamaha), +1:20.790. MX2 Race 2 Top Ten: 1. Jorge Prado (ESP, KTM), 34:56.251; 2. Hunter Lawrence (AUS, Honda), +0:00.605; 3. 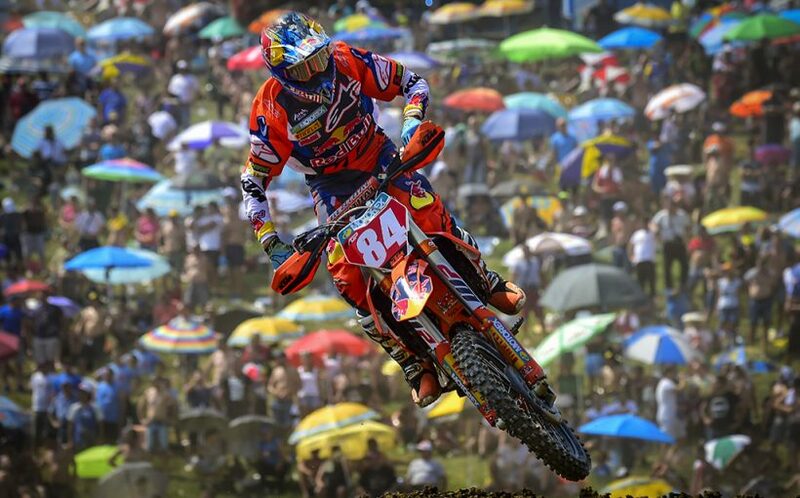 Pauls Jonass (LAT, KTM), +0:18.043; 4. Ben Watson (GBR, Yamaha), +0:19.346; 5. Thomas Kjer Olsen (DEN, Husqvarna), +0:47.383; 6. Anthony Rodriguez (VEN, Yamaha), +0:57.950; 7. Marshal Weltin (USA, Kawasaki), +1:17.981; 8. Tom Koch (GER, KTM), +1:20.188; 9. Michael Sandner (AUT, KTM), +1:25.606; 10. Gustavo Pessoa (BRA, Kawasaki), +1:27.378. MX2 Overall Top Ten: 1. Jorge Prado (ESP, KTM), 47 points; 2. Pauls Jonass (LAT, KTM), 45 p.; 3. Hunter Lawrence (AUS, HON), 38 p.; 4. Thomas Kjer Olsen (DEN, HUS), 36 p.; 5. Ben Watson (GBR, YAM), 33 p.; 6. Marshal Weltin (USA, KAW), 28 p.; 7. Thomas Covington (USA, HUS), 28 p.; 8. Anthony Rodriguez (VEN, YAM), 22 p.; 9. Tom Koch (GER, KTM), 21 p.; 10. 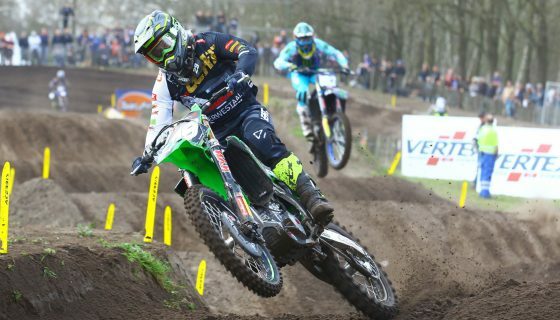 Bas Vaessen (NED, HON), 21 p.
MX2 Championship Top Ten: 1. Jorge Prado (ESP, KTM), 739 points; 2. Pauls Jonass (LAT, KTM), 709 p.; 3. Thomas Kjer Olsen (DEN, HUS), 555 p.; 4. Ben Watson (GBR, YAM), 515 p.; 5. Thomas Covington (USA, HUS), 480 p.; 6. Calvin Vlaanderen (NED, HON), 462 p.; 7. Jago Geerts (BEL, YAM), 346 p.; 8. Michele Cervellin (ITA, YAM), 314 p.; 9. Henry Jacobi (GER, HUS), 278 p.; 10. 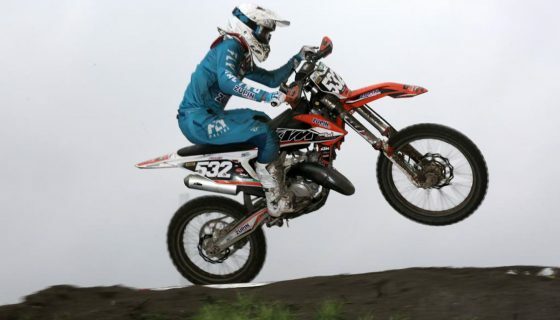 Hunter Lawrence (AUS, HON), 267 p.
MX2 Manufacturers: 1. KTM, 823 points; 2. Husqvarna, 683 p.; 3. Honda, 586 p.; 4. Yamaha, 576 p.; 5. Kawasaki, 404 p.; 6. TM, 119 p.